When her mother is murdered and the killer sets his sights on Bailey, she does the only thing that she knows to do; flee to a place that she has never been, with secrets she never knew existed. Having just received the deed to a remote cabin in Lavender Tides seems providential, but Bailey Fleming is not naive enough to think that her used-to-be-fake-husband is simply being generous, it seems oddly coincidental that her mother's roots were in Lavender Tides; it is even more disturbing to realize that law enforcement has traced evidence of human trafficking to the area. F. B. I. Agent Lance Phoenix has been investigating his sister's abduction for years. When he happens upon Bailey staying in what he thought was an empty residence, his instincts go on high alert at her vague reasons for being in the area. Posing as a carpenter, Lance takes advantage of getting to know Bailey as he assists in home repairs, but when it becomes apparent that criminal activity has taken place on the property, he goes into agent mode and vows to help her sort through her troubled past, but can he keep her safe and locate his sister at the same time? Or are the two somehow connected? 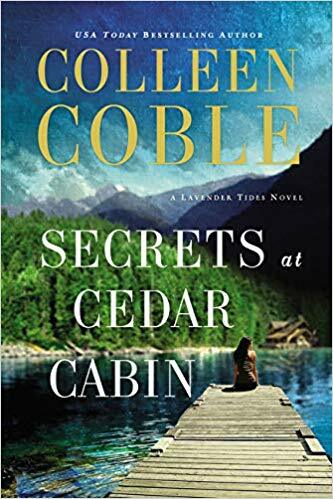 "Secrets at Cedar Cabin" is Colleen Coble at her very best, with waves of tricky plot lines to sort through and well defined characters who share just the right amount of romantic sizzle. 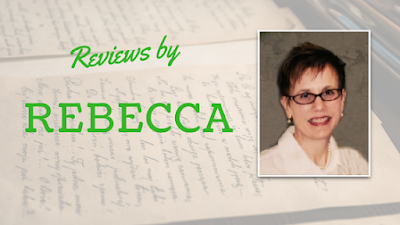 *I purchased this book and was under no obligation to review. Great review, Rebecca! I'm way behind on Colleen Coble books.